Smart business owners know that everyone today uses search engines to find products and companies. Approximately 60% of all consumers search Google to find businesses, and over 80% of searches result in direct sales or visits to an actual store location. That means your company website should be optimized to show up at the top of these searches. Unfortunately, website SEO has no autopilot feature; is not a fix it and forget it type of task. Google is constantly evolving in how it rates websites for top billing, and your website has to keep up. You can’t simply optimize your website one time and forget about it for a year. Much will change in that year – even within a few months! 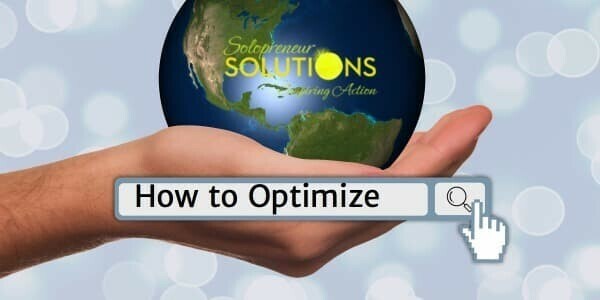 So, performing the following tasks on a regular basis will keep your website at the top of the optimization game so you stay ahead of the search curve. All SEO begins with keyword research. You have to gain an understanding of the current search landscape and choose keywords that will attract leads. This is a critical step to repeat every few months. These search frequency numbers for different search terms always change, and you must stay up-to-date. Using Google Keyword Planner, begin with your particular industry and location. The tool will then give you a wide range of search terms, how often they are searched, and the competition over those words (based on how many businesses are buying ads based on those search terms.) Look for as many relevant keywords for your business as possible that have low competition but high search numbers. Use these keywords in all your optimization efforts. Content is the currency of the online marketing realm. Regularly posting high-quality content will help your website show up on more searches. When creating content, keep the relevant keywords you discovered in mind. The entire point of the content is to provide something of value that will reach people who are looking for it. Whether you’re blogging, podcasting, offering a training video, eBook, or any other type of content, your mission is to engage a specific audience and help them achieve a specific goal. Use your keywords as a springboard for content ideas, and sew your keywords into the content as often and as naturally as possible. Google punishes slow loading websites, and so do Internet users. If your web pages take too long to load, anything over six seconds, searchers move on. Google Speed Insights will not only tell you if your page is running slow, but it will give you suggestions on how to speed it up. Follow through on every suggestion and perform this check every few months. As you add new content, pages, or products, items can slow downloading. Create a landing page for each new product or promotion, and focus on one or two keywords or keyword phrases that are most relevant. Use them as often as naturally possible in the body and title of the page. If there are multiple keywords you think apply to a promotion or item, test different landing pages with each page focused on one or two keywords. Choose the page that performs the best and delete the other pages to keep from slowing down your site with unused pages. Change each page title to include the best keyword for what is covered on that page. This can be as simple as “Your business name + Top Keyword,” but try to be more creative. Perhaps you can incorporate a slogan that includes the keyword. Evaluate your optimization results find what works and what doesn’t. This is a very basic list of tips with which to begin. SEO is an incredibly deep and ever-evolving strategy, and it takes constant learning and attention to keep your site up-to-date and relevant in order for Internet searchers to locate your site and its products/services. What other tips do you have for website optimization? Share them with our readers in the comment section below. Publishing great content is the fuel for the SEO engine Donna. I recall a few years ago; I ranked position #3 on Page 1 for 2 incredibly competitive keywords based little on SEO details and mostly on publishing insightful content. Super tips. You are so right Ryan, constant valuable content is extremely important for getting found.